Last year I spent an evening at Maffeo Sutton Park in the city of Nanaimo, British Columbia, Canada. 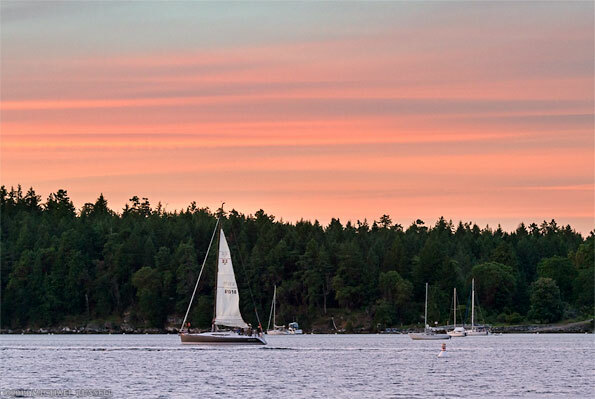 I had spent a few previous sunsets at Jack point across Nanaimo Harbour from the downtown area, and was now looking for some more urban photography locations. I was lucky to get some good light (and weather) that evening, and had a decent sunset in the sky for many of my photographs. The first photo (above) shows two of the Harbour Air seaplanes floating at their dock at the Nanaimo Harbour Water Airport with some of the boardwalk and marinas in the background. 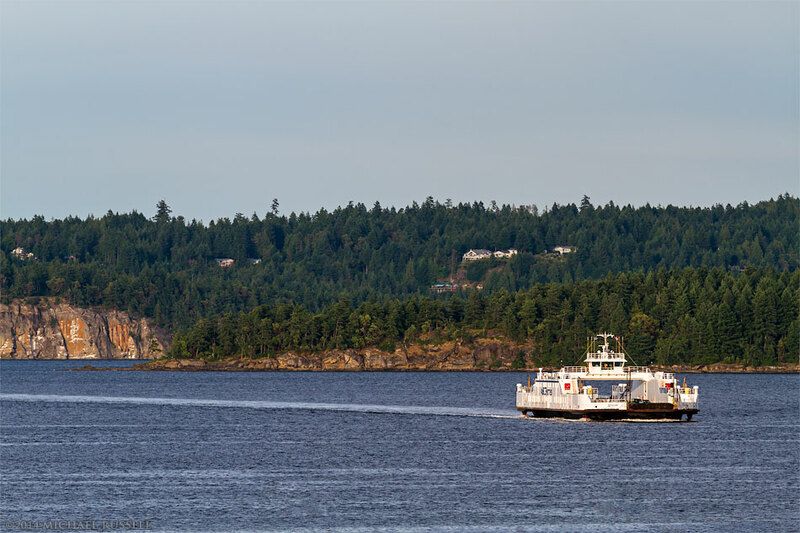 This is the BC Ferry ‘Quinsam’ entering Nanaimo Harbour from its Gabriola Island to Nanaimo run. Though a bit larger it reminds me of the Albion Ferry that used to run across the Fraser River between Fort Langley and Maple Ridge until a few years ago. Biggs Park/Jack Point is in the background (right). Initially I was unable to read the name on the side of this sailboat at the time, but from the numbers on its sail I could determine its name: the Cu na Mara. Here it is sailing past some of the boats anchored at Newcastle Island Marine Provincial Park during sunset. 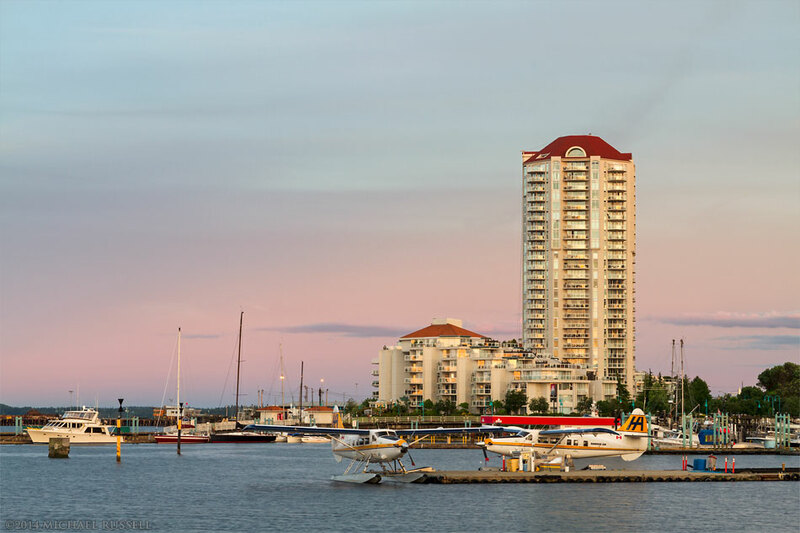 My other goal was to make some “blue hour” photographs of the boardwalk and buildings of downtown Nanaimo. This perspective can be found from the Swy-A-Lana Fishing Pier. You can view other photographs of my trip to Nanaimo and other Vancouver Island locations in the Vancouver Island Photos gallery.